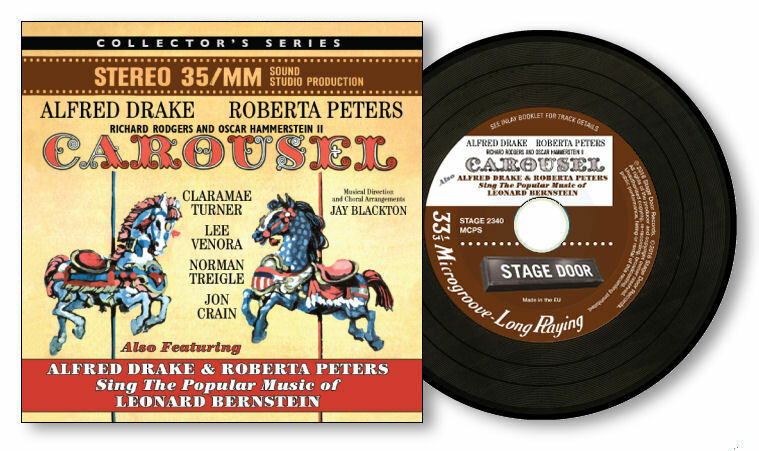 One of Rodgers and Hammerstein's best loved musicals CAROUSEL is re-imagined in this 1962 studio recording produced by pioneering conductor Enoch Light and featuring musical direction and choral arrangements by leading Broadway orchestrator Jay Blackton. This unique interpretation features an all star cast led by Alfred Drake and Roberta Peters alongside Claramae Turner (reprising her on-screen role of Nettie Fowler), Lee Venora, Norman Treigle and Jon Crain. The album was recorded on 35mm magnetic film, producing a rich and fulfilling musical experiences while preserving the dynamic sense of theatrical realism and sonic intensity. 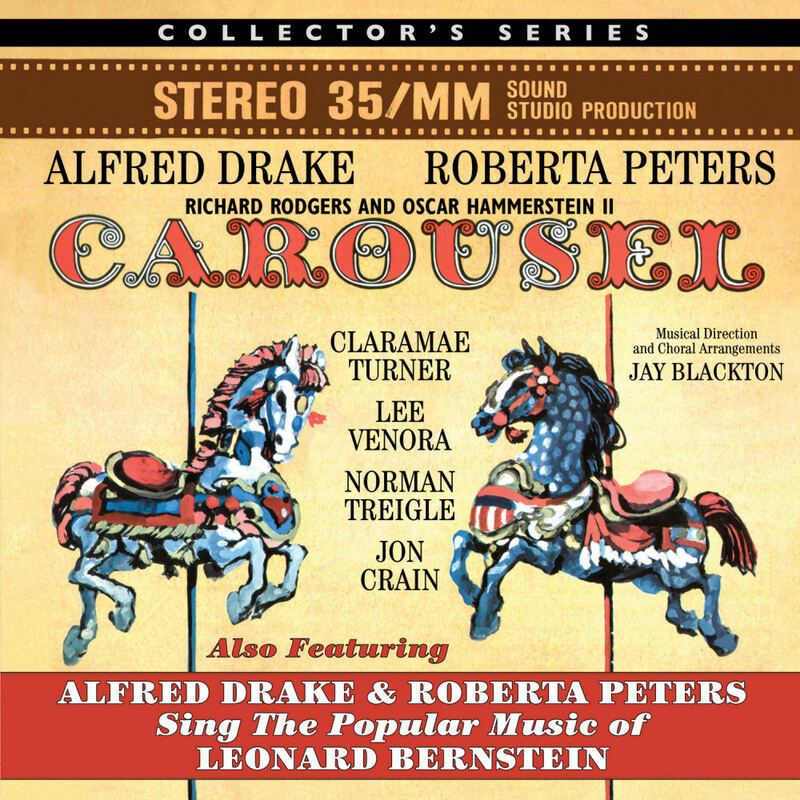 The CAROUSEL recording is coupled with Alfred Drake and Roberta Peters' follow up album SING THE POPULAR MUSIC OF LEONARD BERNSTEIN produced by Enoch Light and featuring songs from 'West Side Story', 'On The Town', 'Wonderful Town' and 'Candide'. Both recordings make their debut on CD and have been digitally remastered from stereo reel to reel tape. The release continues Stage Door's COLLECTOR'S SERIES, a line of limited edition CD products presented in the retro style of a miniature long-playing record. All Collector's Series titles are limited to 500 units.